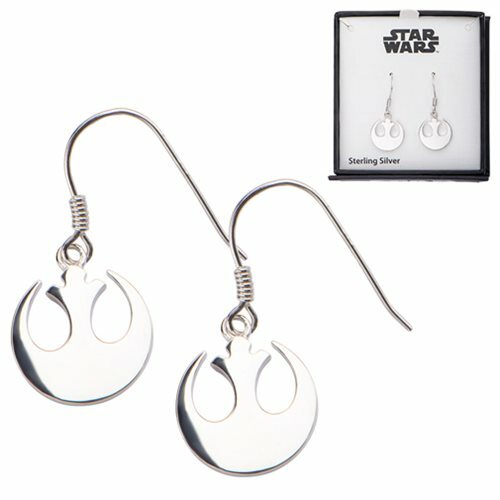 A long time ago in a galaxy far, far away... there were earrings perfect for the Star Wars fan! The Star Wars Rebel Alliance Symbol Cut Out Dangle Sterling Silver Earrings features the iconic logo of the Rebel Alliance from Star Wars on fashionable earrings. These beautiful earrings are made of .925 sterling silver. Measures about 9/16-inches long x 1/2-inches wide. Start your own galactic adventure today!